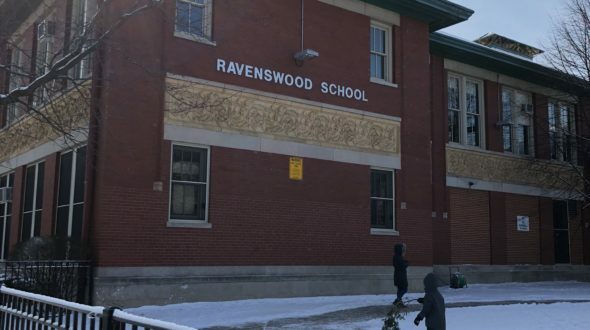 Urban Initiatives is proud to announce that Coach Michelle Ramos, a School Based Program Coordinator, is helping lead the charge on a fundraising initiative at Ravenswood Elementary. Outside of her daily duties at Ravenswood Elementary, Michelle has been working with Friends of Ravenswood, FORS, to bring clean drinking water to students. In addition to the Ravenswood 3rd and 4th grade Girl Scouts Troop who helped make promotional posters for the fundraiser. Last year, Coach Ramos noticed a need to educate students on the importance of hydration. She observed that students were complaining of headaches early in the morning and were unable to successfully complete the cognitively challenging lessons to their fullest ability. She encouraged students to ‘rethink their drink’ and choose more hydrating, healthy beverages. 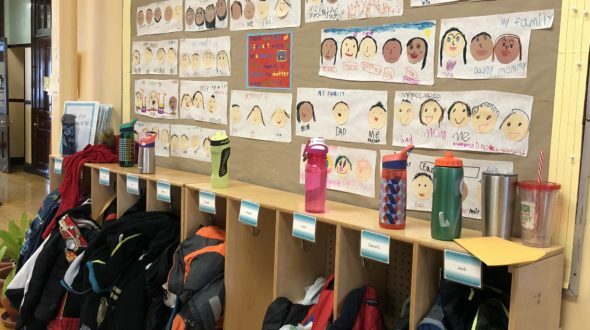 The lesson was a huge success and many students starting bringing their own water bottles to school, which revealed the need for updated water fountains in the century-old school. Two third grade girl scouts mentioned that they were excited to both reduce their waste and have clean, cool water to refill their water bottles with. If you would like to support the Rethink Your Drink fundraiser, please visit https://www.gofundme.com/ravenswoodrethinkyourdrink .